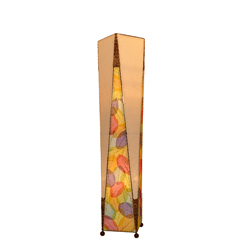 The Trapezoid lamp contains a variety of distinct materials. 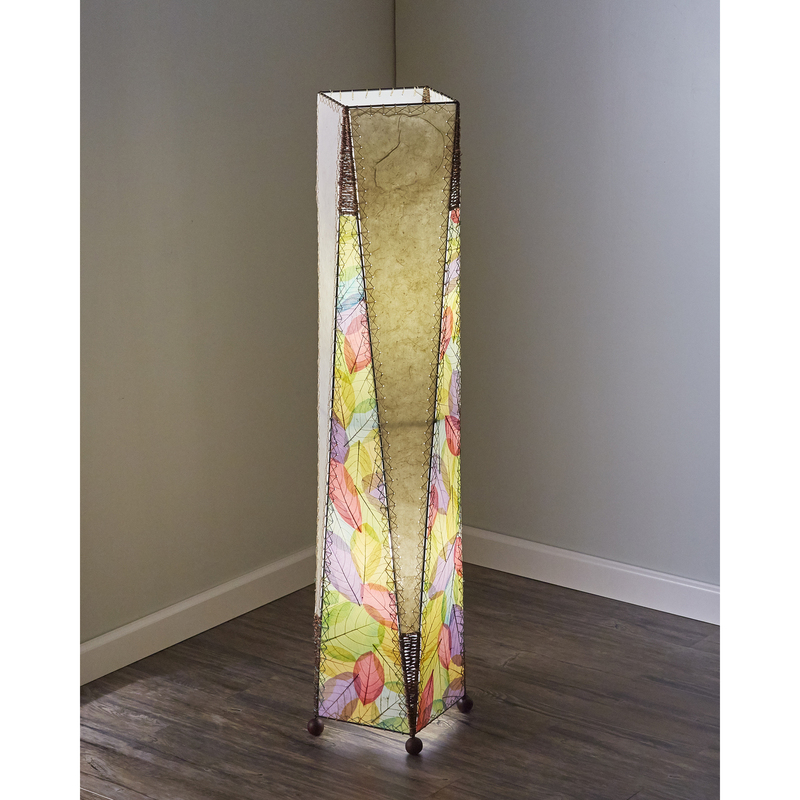 The light, neutral color of the abaca paper, bright banyan leaves and the dark abaca weave contrast with each other to create strong angles and trapezoid shape throughout the piece. 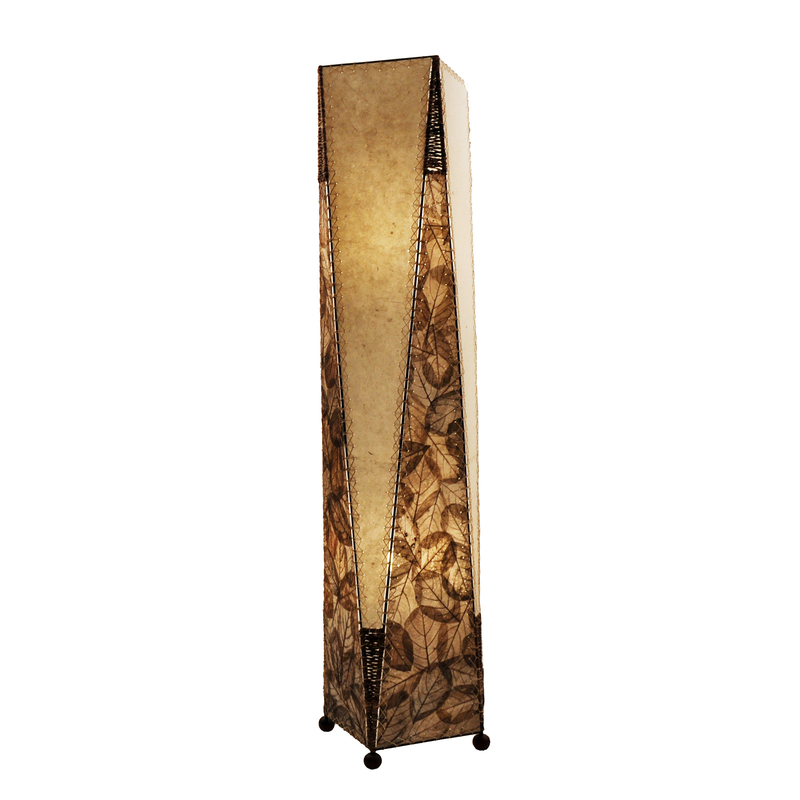 Features overlapping fossilized banyan leaves and natural handmade abaca paper that are hand placed on a standard UL lamp backing and then laminated. 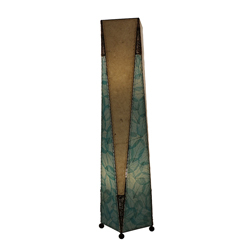 The panels are handstitched onto a powder coated, wrought iron frame. The points of the panel are accented with a renewable abaca rope which is woven around the metal framing.